Another year, vintegrisTECH will participate in Mobile World Congress 2018, which will be held from February 26th to March 1st in Barcelona. The primary objectives of the company at MWC 2018 will be to present its solutions and hold meetings with potential partners interested in its technology. In this edition, we will participate hand in hand with the public entity Red.es within the framework of the Digital Agenda. 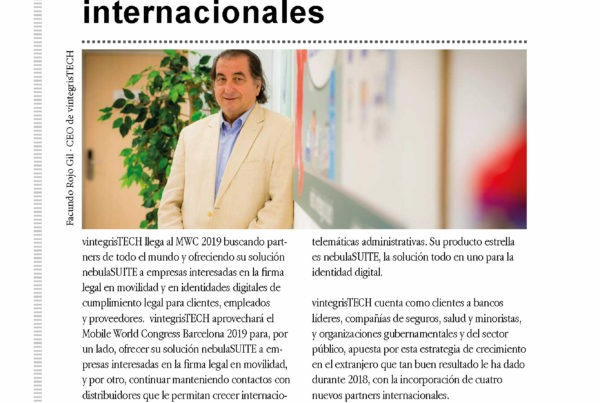 This time is the sixth consecutive year that Red.es has made available to several Spanish companies linked to the mobile industry space to boost their internationalization, present their products, contact potential investors or expand their customer base. If you are attending this event and want to know more about our nebulaSUITE solution or you are interested in our technology and want to become a partner, we invite you to meet our team, which will be located in the Spanish Pavilion, CS30, booth 12. 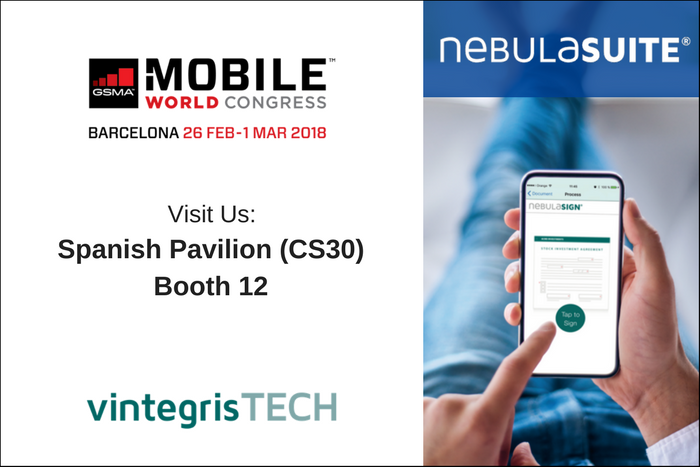 From vintegrisTECH we will take advantage of the international showcase that MWC 2018 supposes, on the one hand, to offer the nebulaSUITE solution to companies interested in “legal signature in mobility,” and on the other, to continue maintaining contacts with distributors that allow the company to grow internationally under the modality of partners. 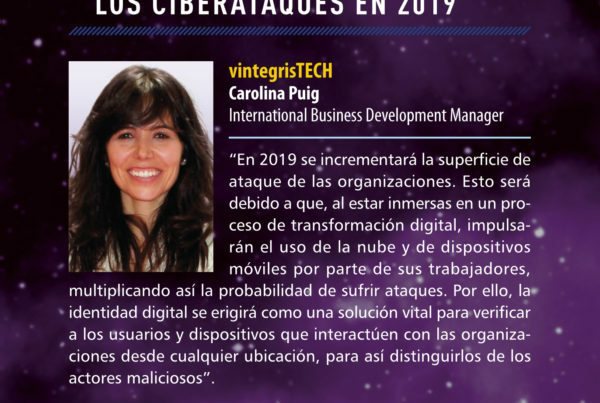 vintegrisTECH, which has clients such as leading banks, insurance companies, health and retail companies, and governmental and public sector organizations, is committed to this growth strategy abroad that has given such good results in 2017, with the addition of four new international partners. Last summer they were joined as partners by, Trust Dimension, in Mexico, and Seguridad América, in Chile, recently it has reached an agreement with the Mexican company Practical Solutions & Business Consulting and the US Mototech Group. The functions of the two new partners of vintegrisTECH, as well as the two previous ones, is the commercialization of nebulaSUITE, the innovative all-in-one solution for digital identity, authentication and secure access, all with its own Certification Authority (CA). Manufactured entirely by vintegrisTECH, nebulaSUITE not only offers organizations a legal signature solution in mobility, but it goes further: it provides the complete digital identity cycle in a single solution. Thus, it allows the use of legally binding digital signatures to comply with EU regulation № 910/2014 of July 23rd, 2014 on electronic identification (eIDAS); issue and manage digital identities through qualified digital certificates, and obtain robust authentication. 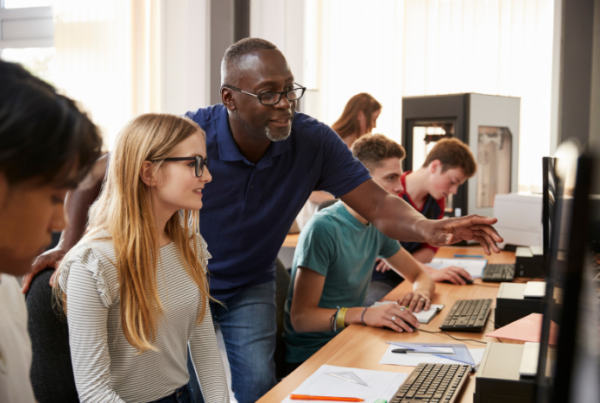 Among its many benefits, the stand out is the comfort it provides to the user, as it is a cloud base solution that can be used from any mobile device, which speeds up business. To discover how nebulaSUITE can help your business, read our brochure . Mobile World Congress is the most important event in the mobile sector worldwide. Proof of this is the spectacular attendance figures recorded each year, which are always on the rise: for this edition, 108,000 visitors and 2,300 exhibitors are expected. This year’s theme, “Creating a better future” synthesizes the sustainable development goals supported by this event. Among them are security, sustainable consumption, more efficient production practices and a reduction in the impact on the climate. vintegrisTECH contributes to these objectives through nebulaSUITE. A complete solution for digital identity that streamlines administrative procedures accelerating the sales cycle and enables the adoption of the so-called paperless office, which in turn results in cost savings in printing, copying, transport and storage of paper, as well as a decrease in the carbon footprint, responsible for greenhouse gases. Since its inception, vintegrisTECH has not stopped growing. At present, the company is immersed in an international expansion process and has over 80 clients. The company closed 2017 with a turnover of more than 5 million euros and currently has more than 70 employees in its Barcelona and Madrid offices. Also, in 2016 it was certified as a Trusted Services Provider (PSC), to be able to issue digital certificates through its certifying entity, vinCAsign. In 2016, it reached an agreement with the Chinese company Feitian to manufacture chips with the vintegrisTECH software, which allows identifying objects in its communications. Feitian will also be present this year at MWC 2018 with a stand (5J26).